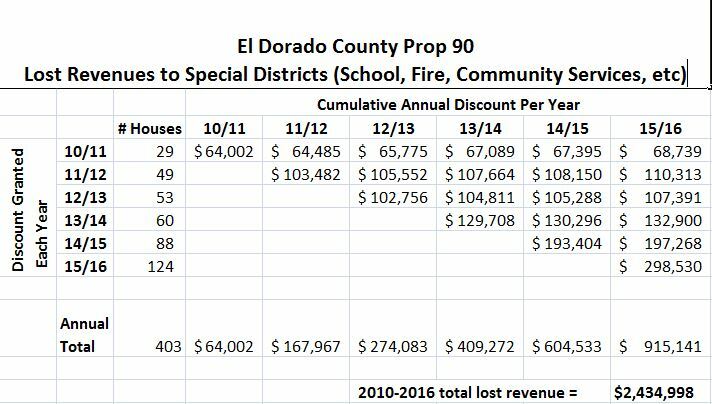 At the August 16, 2016 Board of Supervisors meeting, the Chief Administrative Officer (CAO) presented a new Prop 90 report to the Supervisors. 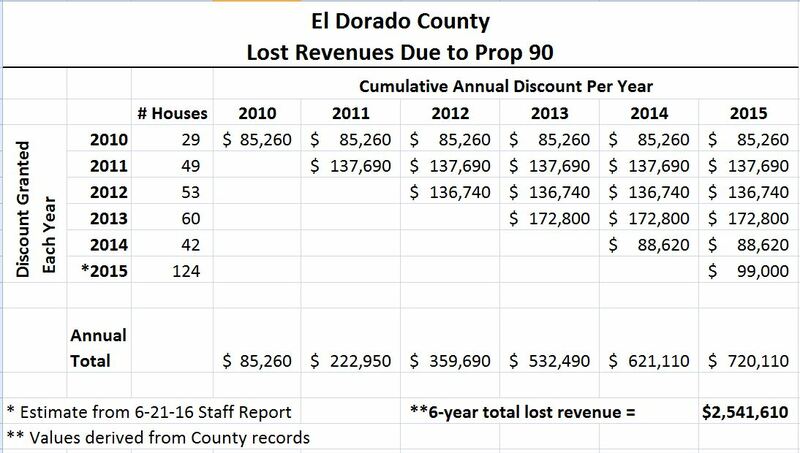 The report clearly showed that the County will lose money by extending Prop 90. This is the same conclusion from reports by previous CAO’s. 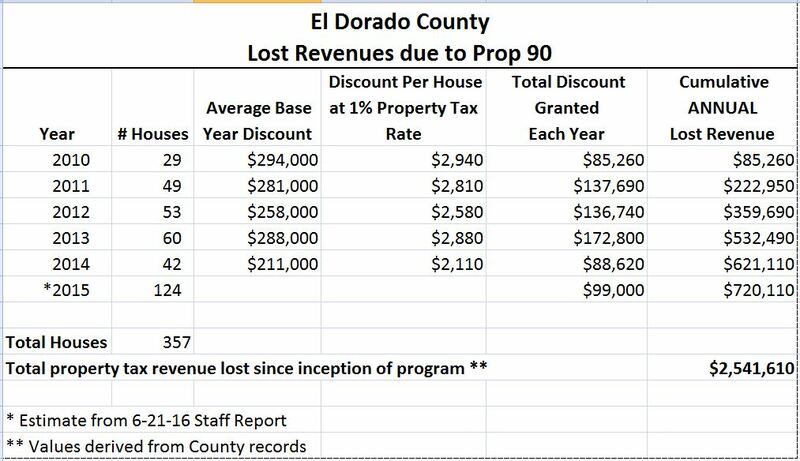 So why did 3 of 5 Supervisors vote to extend Prop 90 for 5 more years? Those 3 Supervisors seemed more concerned about Lennar Homes selling homes to folks from L.A. and the Bay Area at a good profit margin than with protecting our County’s budget. Should existing residents be burdened with the added cost of services needed for “affluent” seniors coming from other Counties? 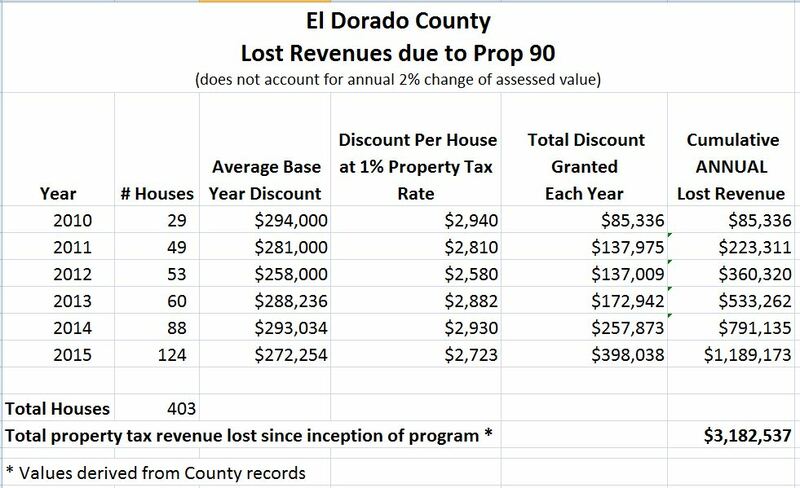 El Dorado County CANNOT afford to extend Prop 90 for another 5 years and add more houses to the program. Take action and flood the the Supervisors with emails and let them know that they should be focused on finding ways to fix our budget, not catering to special interests. And show up on August 30, 2016 to put the Supervisors on notice that they are charged with protecting the County’s financial well-being. 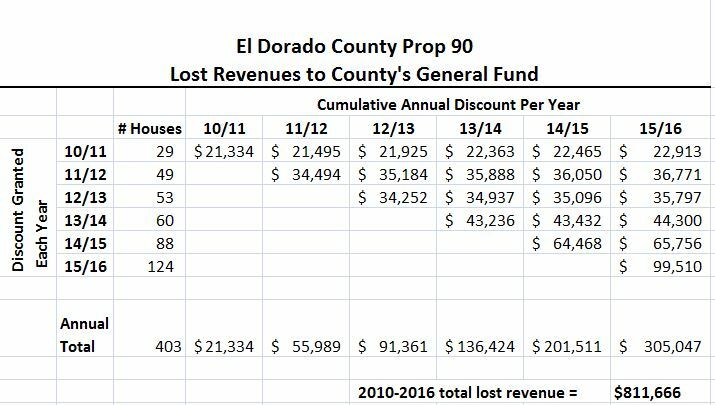 Please forward this email/post to everyone you know who is concerned about the financial health of El Dorado County.